This entry was posted on February 6, 2017 by Nick. There’s nothing more important than showing your mum just how important she is to you on Mother’s Day and with Hamper.com you can do just that. 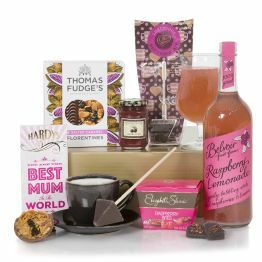 We have a fantastic collection of Mother’s Day hampers that your mum is sure to love but we can also give you the opportunity to put together your own custom Mother’s Day hamper. 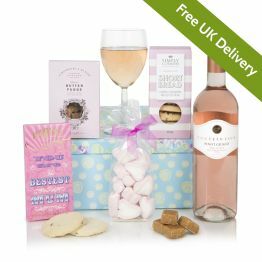 Here’s how to create your own Mother’s Day Hamper with Hamper.com. 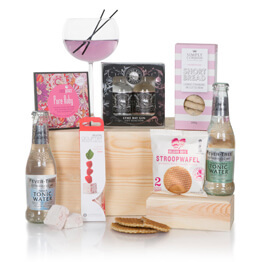 Once you have chosen the packaging of your hamper you can choose from over 150 food and drink items to create a hamper that you know your mum will love. Choose from a range of fantastic, high-quality products, from alcoholic beverages to soft drinks and biscuits, as well as preserves, nibbles and other delicious treats. From chocolate coated peanuts to dark chocolate pastilles and Monty Bojangles chocolates, we have a number of chocolate items and sweets that are perfect for a Mother’s Day hamper! The perfectly named Hardys Best Mum Bar Chocolate bar is just one of the many sweet treats that can be included in a personalised Mother’s Day hamper. Choose from several indulgent cheeses to include in your Mother’s Day hamper. The Applewood Cheddar Wedge, Wensleydale with mango and orange and the Snowdonia Black Bomber all make for fantastic additions to a luxury food hamper. 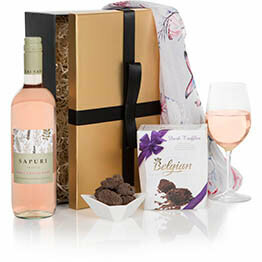 Hamper.com have a range of spectacular wines that you can add to your gift box for a great price. Whether your mum enjoys a high-quality sparkling wine, a deep Merlot or a dry Sauvignon Blanc, you’ll find the perfect choice of wine to add to your custom Mother’s Day gift hamper. If you really want to treat you’re mum this Mother’s Day, then why not add an indulgent bottle of Champagne to your custom Mother’s Day gift hamper? As well as the delicious range of food items available, you’ll find beautiful scarfs and other accessories to include in your custom hamper. 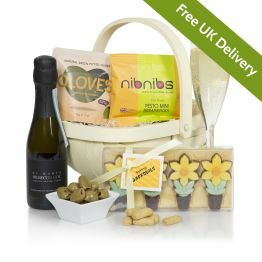 It really is simple to make your own Mother's Day hamper with Hamper.com. 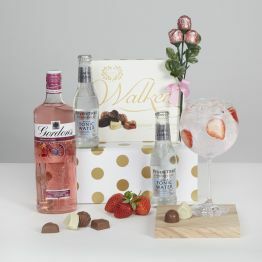 Simply select your gift packaging and your gifts, make your payment and take advantage of free UK delivery in time for the 26th of March. For more information on the custom items you can include in your personalised hamper, please get in touch. Contact us online and a member of our team will be able to answer any questions you may have regarding any of our luxury gift hampers.